Last week, Tesla (NYSE:TSLA) unveiled its new compact SUV, the Model Y, as it looks to reach a larger number of mainstream car buyers while catering to the fast-growing SUV market. The company will launch premium versions of the vehicle – including a long-range model starting at $47,000 and performance variant starting at $60,000 – in the fall of 2020, while debuting the base model priced at $39,000 in spring 2021. Below we take a look at what the launch could mean for Tesla. We have created an interactive dashboard analysis that breaks down the revenue potential of the Model Y and how it could impact Tesla’s overall EPS by 2022. While Tesla does have a history of missing production timelines, this analysis should help users get a sense of the impact the upcoming SUV could have on the company’s financials (even if it is ultimately delayed). 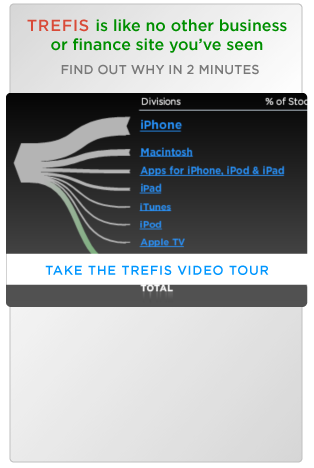 In addition, you can view all Trefis Consumer Discretionary company data here. The market for SUVs has been heating up, with light trucks (which includes SUVs) outselling cars by almost two to one in the United States. The compact SUV segment is particularly attractive, as sales grew by 12.6% to 3.56 million vehicles in 2018, making it the largest auto segment in the U.S. by far. The segment is about 50% larger than the next largest segment – large pickups. The Model Y is also likely to be crucial to Tesla’s plans in the Chinese market, where the government is incentivizing EVs, with consumers showing an increasing preference for SUVs. Roughly 20% of cars sold in China are compact SUVs. Overall, Tesla CEO Elon Musk predicts that sales of the Model Y will eventually exceed those of Tesla’s three current models combined. We estimate that Tesla will be able to deliver about 250k Model Y SUVs by 2022, with a bulk of sales during the period happening in the U.S. market. This would translate into a C-SUV market share of over 6% for 2022. Tesla is most likely to produce the vehicle at its Gigafactory 1 in Nevada and the upcoming Gigafactory 3 in Shanghai, China. We also believe that there is a possibility that the vehicle could be manufactured at the Fremont facility, depending on whether demand for the SUV cannibalizes sales of the Model 3. Overall, the production ramp for the Model Y could be less complex compared to the Model 3, which saw significant delays. For instance, Tesla has indicated that 76% of the parts on the Model Y will be common with the Model 3, which could ease any potential supply chain-related issues. Additionally, Tesla appears to have ironed out many issues with regard to the Model 3’s automated production process over the last year, and production levels are estimated to stand at about 5,800 cars a week presently, up from just about 500 cars per week a year ago. Tesla has also said that the number of labor hours per Model 3 declined by about 65% in the second half of 2018. A more mature and less labor-intensive production system could bode well for the launch of the new vehicle. Tesla is already taking reservations for the vehicle with a refundable deposit $2,500 (the Model 3 bookings opened with a $1,000 deposit), potentially giving the company some additional liquidity to carry out toolings and start production. Competition in the EV market is heating up, and the Model Y will have to take on a slew of new electric vehicle launches from traditional carmakers by the time its production scales up in 2021. Manufacturers from both the luxury and mass markets are investing heavily in EVs, considering their superior performance and relatively lower mechanical complexity, and early examples indicate that they are getting the EV formula right. Volvo has indicated that it wants 50% of its vehicle sales to come from EVs over the next six years, and Jaguar has already launched the well-reviewed all-electric I-Pace SUV (related: Reviewing Tesla’s Competitive Advantages As Jaguar Launches Well-Reviewed I-Pace). That said, Tesla does have some inherent competitive advantages that include lower battery costs, a head start in the self-driving race (with more cars on the road logging data to improve its self-driving algorithms) as well as the brand recognition of being a pioneer in the EV market.